The holiday season is upon us, and that means many of us are thinking of ways we can help those less fortunate than ourselves. Recognizing that the holidays this year will be a difficult time for many families, BEARPAW Footwear is kicking off their “Share the Love, Spread the Comfort” campaign. They will be choosing two nominated families every Friday until the end of December to receive a holiday gift basket including: BEARPAW boots for the entire family, 2 $250 gift cards and more. Know a family who deserves to win? "IMAGINATION IS KING™ at BURGER KING®. The new BK CROWNTM/MC Program, built to inspire every kid´s imagination and encourage kids to help choose how BK® gives back, brings families together to enjoy not just a meal but a mealtime experience. With the BK CROWNTM/MC Program, Burger King Corporation invites kids to tell BURGER KING® what matters to them most. BKC has established a fund to help support the Wildlife Conservation Society, National Parks Conservation Association, DonorsChoose.org and Have It Your WayTM Foundation. By visiting BKCrown.com, kids learn how BKC´s charitable partners make a difference. Upon entering BK CROWNTM/MC Codes and clicking on their favorite cause, each kid´s vote helps BK® choose which charity to give back to. The fun doesn´t end at the restaurant; the BK CROWNTM/MC Program experience lives on at http://www.bkcrown.com/ where kids can place their vote for how BKC should give back, as well as find more games, win prizes and enjoy interactive play. Also at BURGER KING®, for just $9.99 your family can enjoy the "BKTM Family Bundle" which includes a WHOPPER® sandwich, WHOPPER JR.® sandwich., two small fries, two small soft drinks and a Kids Meal. Now that´s a deal worth getting together for! Limited time only. Price and participation vary. Prices higher in HI." 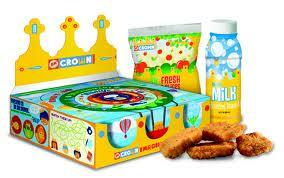 What we thought: The kiddos really enjoyed the new BK Crown Kid's Meals! The boxes are loaded with games and pop out characters and more fun stuff including the crown of course:) And the food is still as good as always with healthy options like apple slices and milk, which makes everyone happy:) Both of our kiddos picked the Wildlife Conservation Society for their charity to give back to...this is a really neat idea! What a great way to teach our children about the importance of giving back and protecting our future. (1) $25 BURGER KING® Crown Card* to purchase a kids meal featuring the BK CROWNTM/MC Program. "Scala Pronto, is a very popular Dorfman Pacific brand. It is one that represents ageless fashion and quality at an affordable price. Style LW399 is a bestseller because its silhouette which is a cloche looks great on everyone and it is well-priced, too. It is available in many colors including these popular shades...black, camel, charcoal, plum, wine and red. These colors mix and match with Fall-Winter outerwear and wardrobes and work with many complexions. This style is a soft wool knit (boiled wool) which is a great feature. It is not very structured and has a shirred appearance which is easy to wear. The complete Scala Collection is beautifully diversified, offering hats for every season and occasion--dress up, casual, sport for both men and women. The promo code will be ScalaPronto. Site checkout description will read: Enjoy 20% Off + Free Ground Shipping (U.S. delivery only). Not valid w/other offers. Ends 12/31/11. Womens-Hats.com is the website." What we thought: This is a really fun hat that is super easy to wear with pretty much anything! I love winter accessories that are easy to match with different outfits and other outerwear...fashionable and budget-friendly! These great hats come in a variety of colors too! The deal they are offering is really awesome and these would make great additions to your winter wardrobe or great gifts for friends and family! ABCD Diaries gives the Scala Wool Crusher hat an A! "Rock out with this GLAMorous purse by adding cool metallic jewels!" What we thought: A loved this purse! She is super crafty so this kit was right up her alley. 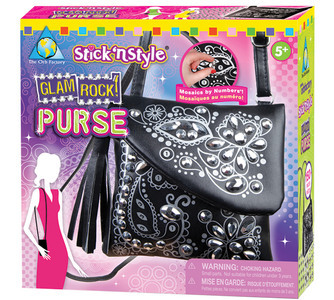 It is kind of like a paint by numbers project, except you apply the sparkly jewels to the purse and the end result is a super GLAMorous handbag! This was a really fun kit:) TheOrb Factory has several cool and crafty kits to choose from and these would make really awesome gifts for the artsy kiddos on your list this year. ABCD Diaries gives The Orb Factory an A+! 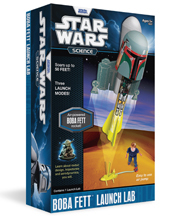 Buy It: Find these fun kits at The Orb Factory! "The Contigo® 20 oz. West Loop Vacuum Insulated Travel Mug with AUTOSEAL® technology keeps your favorite holiday drink hot for up to six hours. AUTOSEAL® self-sealing lid technology offers press-to-sip drinking and automatically seals between sips making it spill-proof and leak-proof – there are no lids to remove and no spouts to open. The West Loop is also top rack dishwasher safe. Throw some instant coffee packs or tea bags in the mug to make the perfect gift. MSRP $24.99"
What we thought: This travel mug is awesome! It has a sleek and stylish stainless steel finish which not only makes it pretty to look at, but super easy to clean. The 20 oz size allows you to carry a large amount of coffee or tea or any other hot drink wherever you want to go. The drink always stays warm longer than I expect which is nice, especially now that its starting to get cooler:) It is easy to use with one hand and doesn't ever leak, even when knocked over! This mug would make a great gift for the on-the-go coffee drinker in your life:) ABCD Diaries gives the Contigo Travel Mug an A+! Buy It: Find this awesome travel mug at mass merchandisers and department stores nationwide. Check here for a store near you. "Forget carols, eggnog, dinner parties and cookie exchanges, when it comes to holiday entertaining the biggest trend this year is playing dice – elf style with lumps of coal. Not only will you be able to avoid taboo conversations about religion, politics and money with the family, you will all be able to bond over Lumps, a fast-paced dice game that challenges players to make risky decisions with every roll. 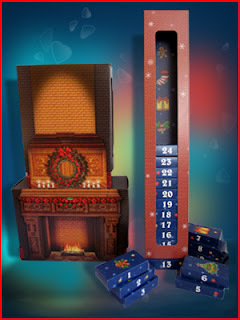 To play Lumps, you gather the pieces of coal (dice) in your hands, give them a lucky shake and let them fly. The goal is to score the most points in three rolls by rolling pairs. What makes Lumps exciting is that there are four different types of dice and only a few of them have high numbers on them. After your first roll, you have to decide which dice to keep and which dice to roll again. If you need help starting a friendly dinnertime conversation you can use the game Family Talk 2. A portable deck of cards with questions like, “What was life like when you were a kid, mom, dad?”, Family Talk 2 inspires meaningful conversations that allow families to reconnect over the holidays." What we thought: We really enjoyed Lumps:) This game really reminds us of one of our favorite dice games, but with a holiday spin. Even the kiddos loved this game. It is easy to learn and super fun. Family Talk 2 is great as well. These questions were sometimes funny and often thought-provoking, but always led to some really great family discussions. We were amazed with how much we didn't know about one another! This is a really great way to stimulate family conversation and would be great to take for long car rides this holiday season:) ABCD Diaries gives Lumps and Family Talk 2 an A+! 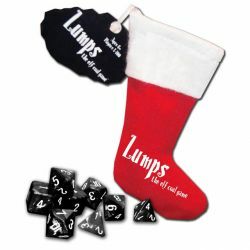 Buy It: Lumps, the Elf Coal game is available at Hallmark Gold Crown stores, Books-A-Million, Go! Games and 100s of specialty toy stores in the US. 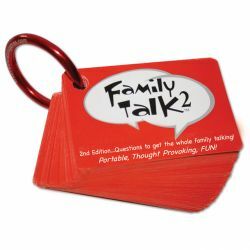 Family Talk 2 can be found at Continuum Games. The excitement to our morning breakfast. The zest to our dull sandwiches. The spice to our salad. Everything tastes better with bacon. Well, guess what? Bacon’s changing the game again. Now you can snack on bacon anytime. At the Baconery, bacon is our main ingredient. You want bacon on it, You got it. Bacon has no limits!" What we thought: We had the opportunity to try the Baconery sampler. It included a marshmallow bar, chocolate dipped pretzel rods, banana bread and 2 kinds of cookies. We had a lot of fun sampling these bacon flavored treats. What was most interesting to me was that the goodies weren't just bacon flavored, but had actual pieces of bacon on/in them. Whether it was the big pieces of bacon in the cookies or bars or the tiny bacon crumbles on the pretty pretzel rods, the bacon was clearly visible. I am a firm believer that bacon is the king of all meats and even though B teases me relentlessly about verging on vegetarianism, I know I could never give up bacon:) I am super excited now that I know bacon can be added to baked goods and other traditionally sweet treats and actually taste good! If you have a bacon lover on your gift list this holiday season (and really, who doesn't!) check out Baconery for some really fantastic treats that are sure to bring a smile to their face! ABCD Diaries gives Baconery an A! Buy It: Find delicious bacon treats at Baconery! Welcome to 12 Days of Gifts Galore Giveaway Hop hosted by Tales From the Nursery, Formula Mom, and Mama on a Green Misson. 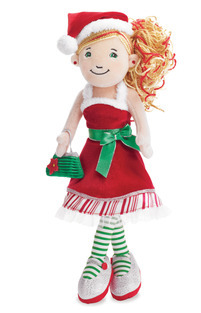 There's over $5,000 in prizes offered to help you get the gifts you need this holiday season. After you are done entering our giveaway you'll want to check out everyone else's AND enter for a chance to win one of three GRAND prizes sponsored by Kudzoom! Each blog you stop and enter at will be another entry! 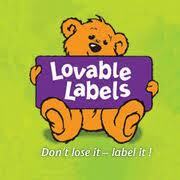 Our sponsor for this giveaway hop is Lovable Labels! "Looking for a unique and useful personalized gift idea? 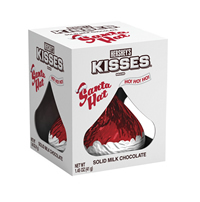 The Holly Jolly Gift Pack was designed with the essentials in mind. Wrapped in a pretty red foil package, the recipient will receive 15 Multi-Purpose Stickers, 40 Slimline Labels, 12 Shoe Labels, 24 Press N' Stick Clothing DOTS (6 Large, 6 Medium and 12 Small) and 2 Mini-Metal Tags. Everything you need to cover the basics and more!" The winner of this giveaway chooses either the Christmas Jewels set or the Santa's Pick set. What we thought: This pack of labels is great! It really covers a broad range with the variety of labels included. We can name pretty much all of A's stuff! These labels really come in handy with school supplies, backpacks, clothing(especially coats, hats, mittens, etc this winter!) and show and tell items. The labels are easy to apply and really stay on which is super important. 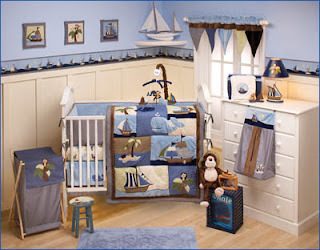 There is a large variety of icons to choose from to fit any kids personality. A is really loving labeling her things with her ladybug labels:) ABCD Diaries gives Lovable Labels an A+! Buy It: Check out Lovable Labels for great deals on label packages! "Skip the pills and zap that headache the natural way. Apply to temples and neck at the first sign of pain, gently inhale, and let pure, refreshing essential oils and herbs soothe your aching head and calm your mind." "Transform your skin (and mind) in ways you could never imagine. Honey is an incredible moisturizer and cure-all, as well as an overall tonic for skin of any condition, creating a soft, supple, youthful feel that lasts and lasts. Thank the honey bees for creating this extraordinary elixir... but praise sumbody for delivering it straight to your bath." "This invigorating, minty BonBon will perk up your morning shower and your sleepy-head senses as sea salt exfoliates and shea and cocoa butters moisturize. Good Morning, indeed!" "No packaging! We love it! The more ways we can get rid of waste, the happier we are. Now you can have your lotion in the palm of your hands. Palm-Its are so easy, you may never go back to the bottle again. Made with rich butters for that deep-penetrating, ultra-rich, moisturizer. Just put it in the palm of your hand and rub it all over yourself (or sumbody else). Be careful- they`re addicting, and friends love to palm them!" What we thought: These products are fantastic! I must give credit where credit is due. The Headache Zapper is AWESOME!! I have daily headaches and this roll-on works miracles on them:) I use it at least once a day. It smells wonderful and within minutes my headache has significantly decreased if not gone away all together. And no pain medication required! Seriously, amazing! The bath fizzer left the kiddos skin feeling super soft and moisturized and they really loved the feel of it in the tub. The BonBons were great as well and smelled so good. The PalmIt was actually pretty fun to use...I have never applied lotion that way! 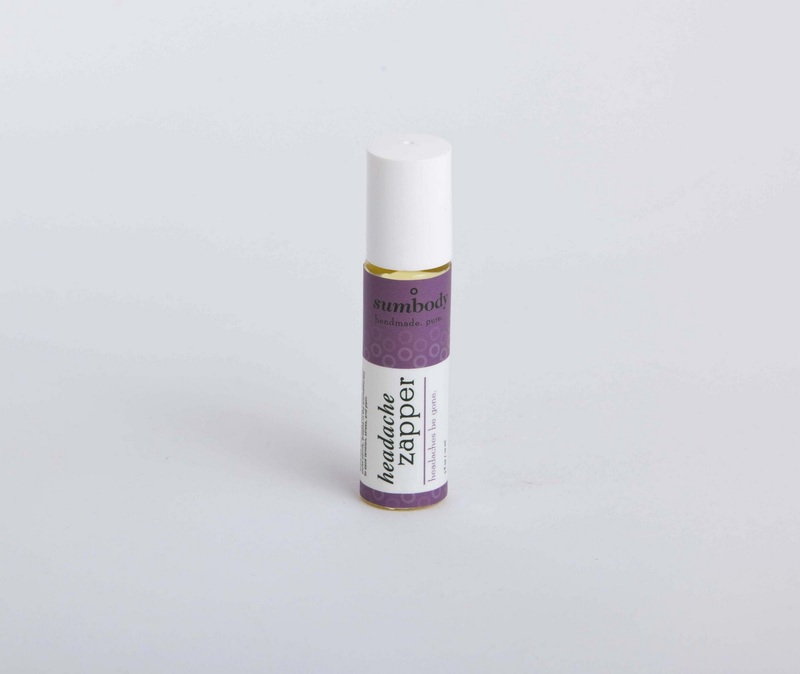 It smelled fantastic and left my skin feeling super soft which is great during the cooler, windy months. Overall, we we super impressed with every single product we reviewed from SumBody and will remain customers for a long time:) So many of these would be great stocking stuffers this holiday season. ABCD Diaries gives SumBody.com an A+! 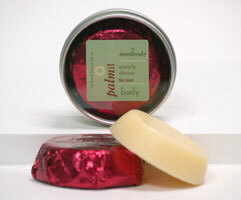 Buy It: Find these fantastic body products at SumBody.com! "Make your Christmas sparkle with these holly, jolly cupcakes! Learn how to bake and decorate 4 different specially-designed cupcakes to make your holidays merry and bright! 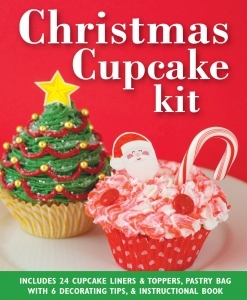 This Christmas Cupcake Kit includes: 24 festive cupcake liners, 24 Christmas cupcake toppers (4 designs of 6 each), 6 different pastry tips, connector, pastry bag, and 32-page mini-book packed with simple decorating instructions for each design, as well as cake and frosting recipes." What we thought: Does it get much better than cupcakes? Especially during the season where you are most likely to give yourself the reprieve you need to partake in such indulgences:) If you want the cutest cupcakes on the block, the cupcakes everybody will remember, check out this kit from Peter Pauper Press. 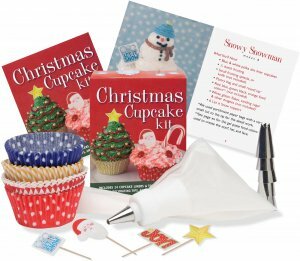 This kit comes with everything you'll need to make gorgeous Christmas themed cupcakes except the batter and the icing:) The booklet contains lots of recipes for cake and frosting and decorating ideas. Peter Pauper Press may be best known for their journals and stationery, but they also have some really neat gift ideas and box sets that would be great for the people on your holiday list:) ABCD Diaries gives Peter Pauper Press an A+! Buy It: Find great gifts for everyone on your list at Peter Pauper Press! What we thought: These plushies are awesome! They were a huge hit with 5 year old A and her friends. She took HoneyCakes to school on Bear Day and got rave reviews from all the girls and even some of the boys:) She has already asked if we can get PetCakes for her 2 best friends for Christmas presents! That right there should tell you how awesome little girls think these cuties are:) PetCakes would make great gifts this holiday season...they are absolutely adorable! ABCD Diaries gives PetCakes an A+! - 1 Grand Prize Winner will receive a $5,000 VISA® gift card to spend Any Way You Want It…delivered just in time for the holidays! - Two runner-up winners will win a $500 VISA® gift card each! - In addition, Gorton’s will randomly select 800 lucky winners to win a custom Gorton’s dinner plate that will help you and your family remember to eat seafood twice a week. 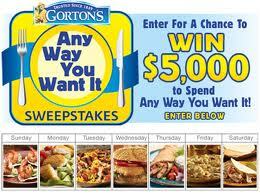 What we thought: We love Gorton's seafood products! They are a tasty and convenient way to make sure my family gets the fish and other seafood that is so important for their diets. Gorton's has a large variety of seafood to choose from which makes it easier to shake up our menu a little bit when it comes to serving fish. ABCD Diaries gives Gorton's an A+! 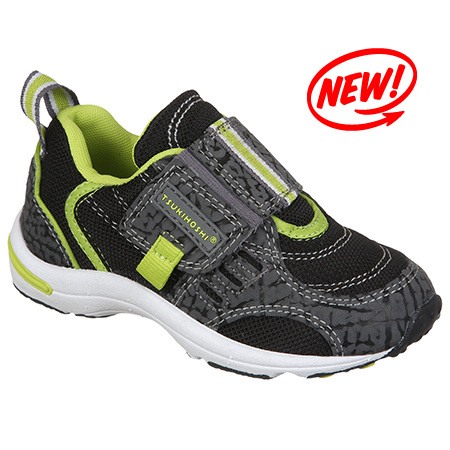 designed for children's growing feet and to provide maximum comfort. Plus they are machine washable and have an antibacterial insole. Children can put TSUKIHOSHI on easy and take TSUKIHOSHI off easy with the help of the wide and curved "Velcro Fastener"." What we thought: These shoes are great! D asks to wear them every day:) He really loves them! They fit him very well and they seem to be really comfortable. I was a little wary about how lightweight they are, but they seem to be very very well-made and durable. The selection of shoes at TSUKIHOSHI is pretty impressive with sizes to cover all ages from baby to older children and so many cute and cool styles that you will have a hard time just choosing one pair:) These shoes would make great gifts for the kiddos in your life this holiday season. ABCD Diaries gives TSUKIHOSHI shoes an A+! Buy It: Find TSUKIHOSHI children's shoes at Nordstrom.com! Disclosure: ABCD Diaries was given a pair of shoes for review purposes only. We were in no other way compensated. The opinions expressed in this post are ours and ours alone. "DelGrosso Foods is America’s oldest major family-owned producer of pasta sauce, building on its beginnings in 1914 and an old-world immigrant’s secret recipe. 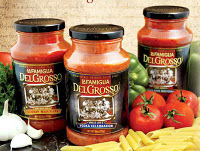 As America’s “First Family of Pasta Sauce,” the DelGrossos have more recently created a specialty line of all natural, ultra-premium pasta sauces called La Famiglia DelGrosso. Made with whole peeled imported Italian plum tomatoes, imported Italian olive oil, and the finest, freshest ingredients available, each recipe from the La Famiglia DelGrosso lineup was created by a different member of the DelGrosso family and is a celebration of a particular holiday or family occasion." What we thought: These sauces were yum-a-licious! So tasty, I had to make up my own word:) I can honestly say they were some of the best pasta sauces we've ever had from a jar! We love to make our own sauce, but we always like to keep a few jars on hand for when time or ingredients prevent us from making it. We use a lot of pasta sauce and we've tried pretty much every brand on the shelves. So, I think we are pretty reliable sources when we brag about a sauce we've enjoyed:) We tried the Vodka Celebration sauce, which is a creamy tomato sauce with a hint of vodka and all the right spices and wen t really well with chicken. We also tried the Roasted Red Pepper Tour which was fantastic with spaghetti and meat sauce. I don't even like red peppers and I LOVED this sauce! Way to go DelGrosso! These sauces would be wonderful to have on hand this holiday season...a definite time saver and so many varieties...there is something for everyone! Plus, DelGrosso sauces come in gift packs, as well, which would make lovely gifts! ABCD Diaries gives DelGrosso Sauces an A+! Buy It: Find delicious sauces at DelGrosso!